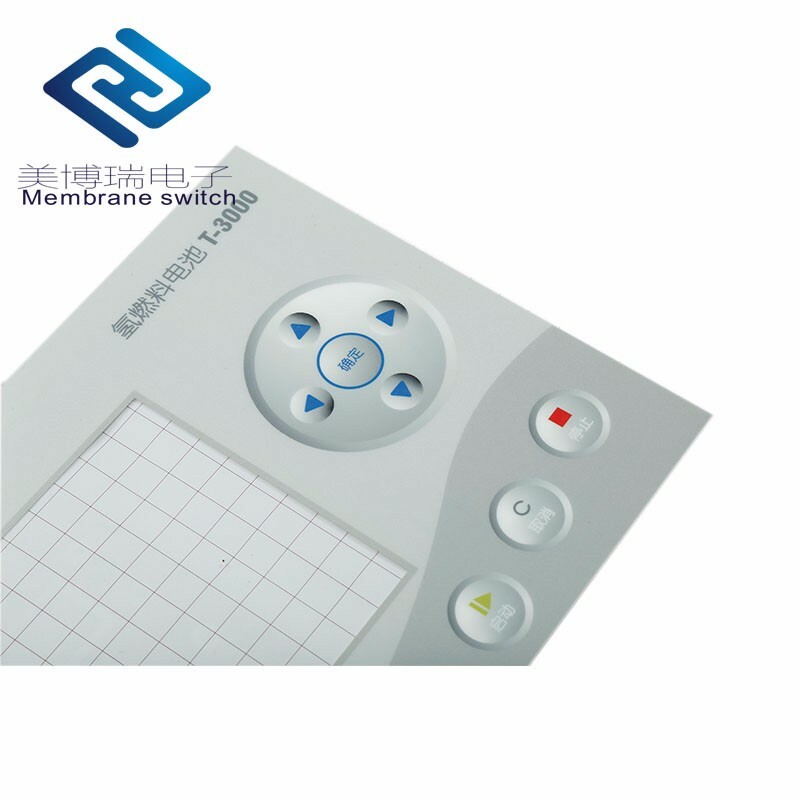 A membrane switch is a printed electronic circuit that uses pressure to open and close a circuit. The membrane switch circuitry is most often screen printed using conductive inks, which are typically made of silver, carbon, and/or graphite. 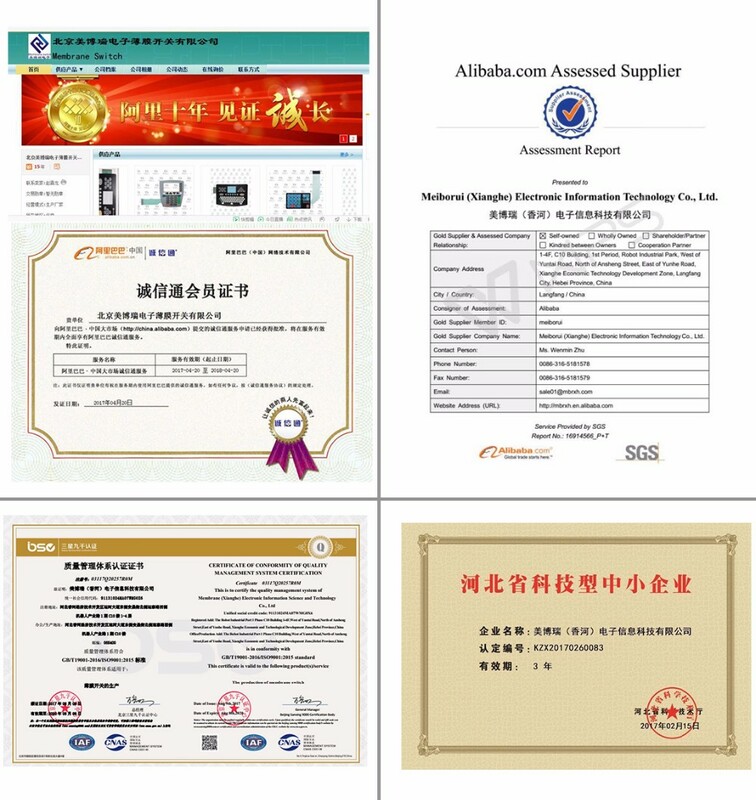 Membrane switches are part of a range of devices considered to be user interfaces (also called operator interfaces, or man-machine interfaces) along with display-based touch screens, and mechanical switches such as push-button, toggle, rocker, and slide switches. 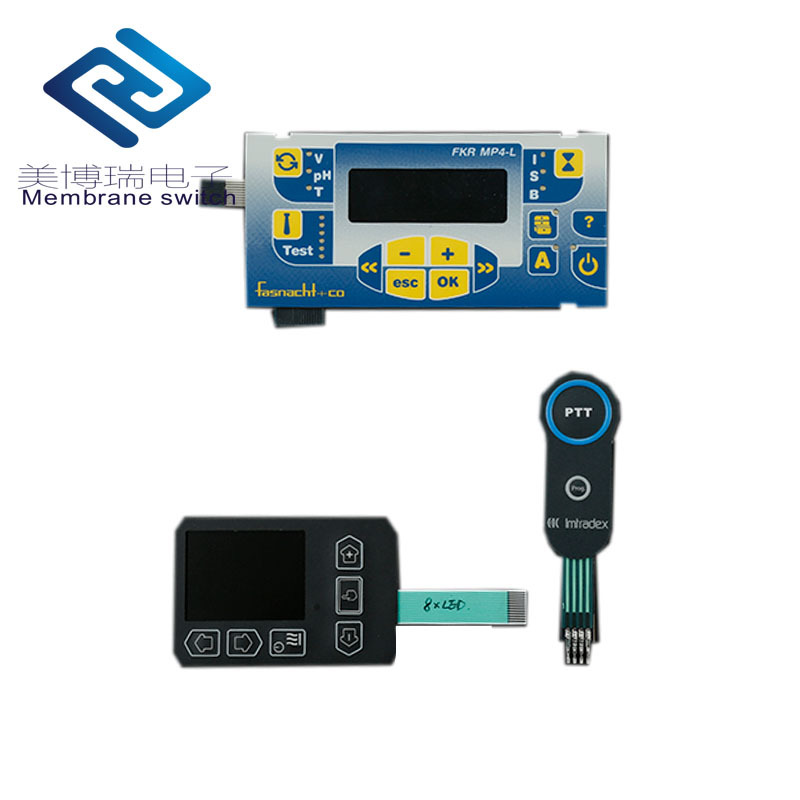 The ultimate purpose of a membrane switch is to serve as the interface between man and machine, enabling an operator to communicate with a piece of equipment, instrument, or machinery. 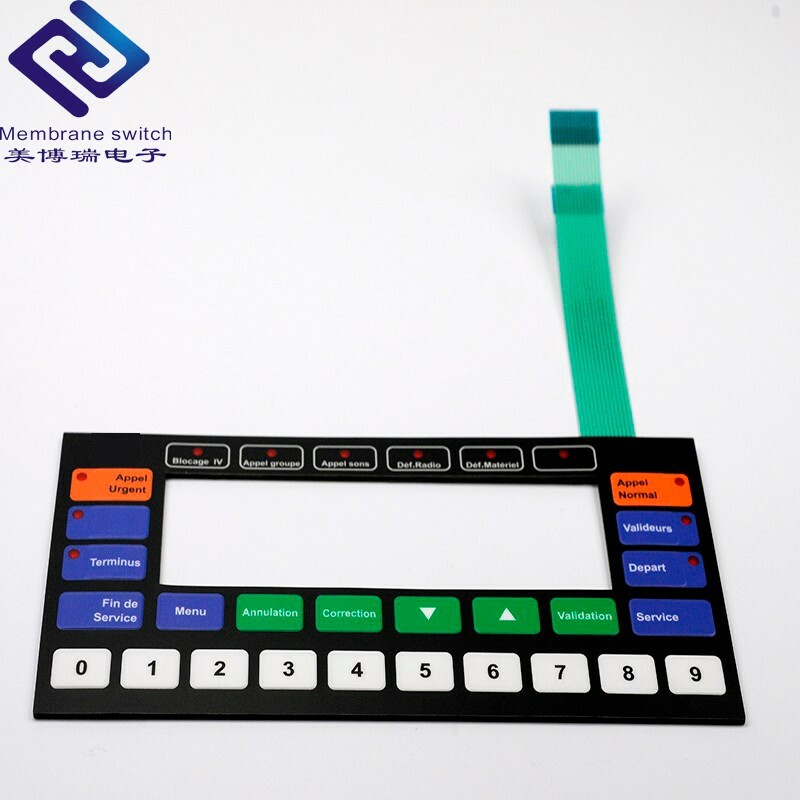 Membrane switches can be manufactured with non-tactile switches, which activate with 4 – 8 oz of touch pressure. Non-tactile switches are less expensive and provide the longest switch life. 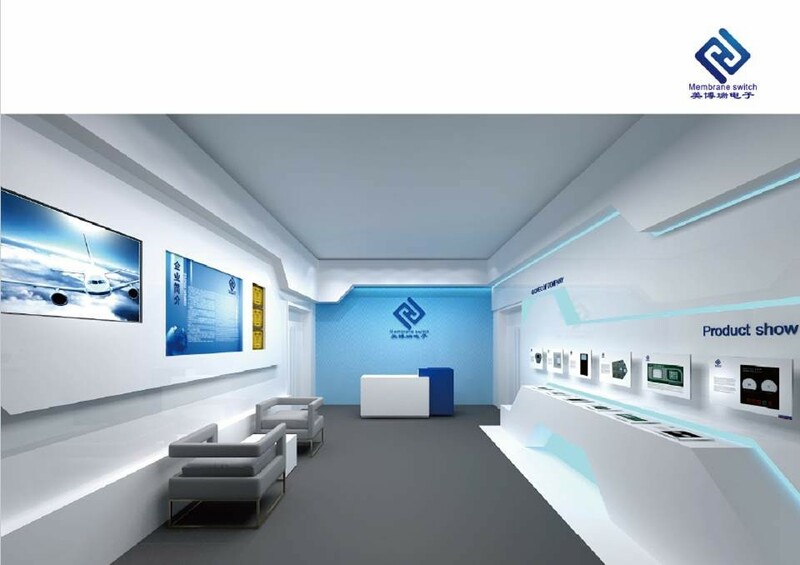 Tactile switches have a snap-action feel and may also be incorporated into a membrane switch, enhancing tactile feedback, but with a greater cost and lower switch life.